Michael Nejman, an experienced professional with event production and marketing expertise, has developed and implemented award-winning programs and events throughout a career spanning 30+ years. Now, he offers his services as a consultant/manager/booking agent for speakers in the Chicago area. 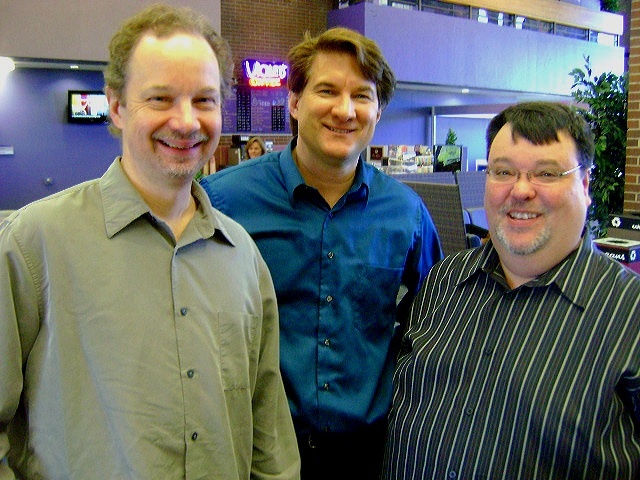 Michael (seen here in the middle) currently manages Sound Opinions lectures and programs, featuring Greg Kot and Jim DeRogatis. Services provided include talent development and management, as well as booking and advancing dates. If you would like to book a Sound Opinions lecture/program, please contact us for more information. Copyright 2013 Michael Nejman Artist Management. All rights reserved.